I’m a baby boomer. When I was growing up, men’s and women’s roles were defined, and many doors were not open to women. Most female role models at that time, both on television and in real life, were stay at home moms, teachers, secretaries, or nuns. Nonetheless, there were a handful of women whose lives were outside of the norm that were known to me. They included Joan of Arc, who led France to victory against the English during the Hundred Years’ War; Madame Curie, a physicist and chemist who conducted pioneering research on radioactivity; Amelia Earhart, the first woman to fly solo across the Atlantic Ocean; and Althea Gibson, the first African-American tennis player to win a singles title at Wimbledon. Through their accomplishments, these women impacted not only those near them, but also the world. Despite the lack of encouragement and female role models, I found myself in professions traditionally held by men. 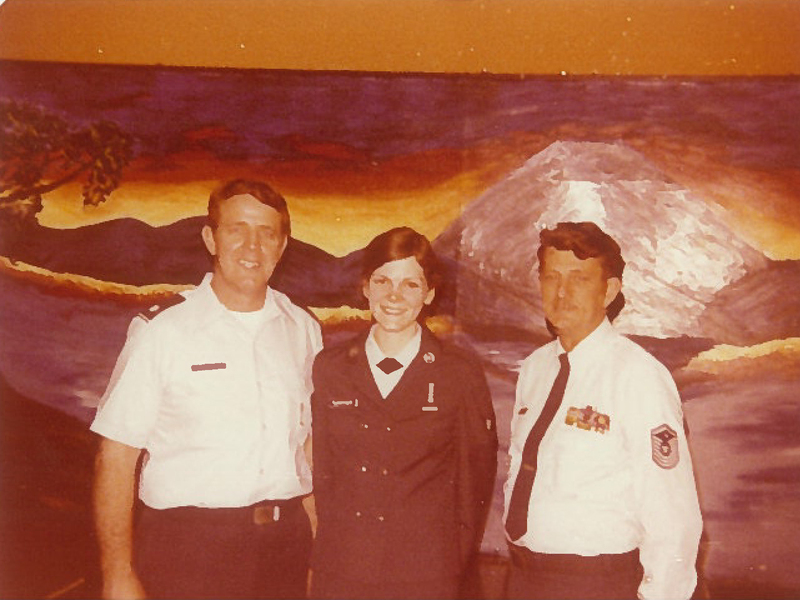 I entered the Air Force directly after high school and was trained as a Ground Radio Communications Equipment Repairman, with a specialty in communications equipment on Titan missile sites. 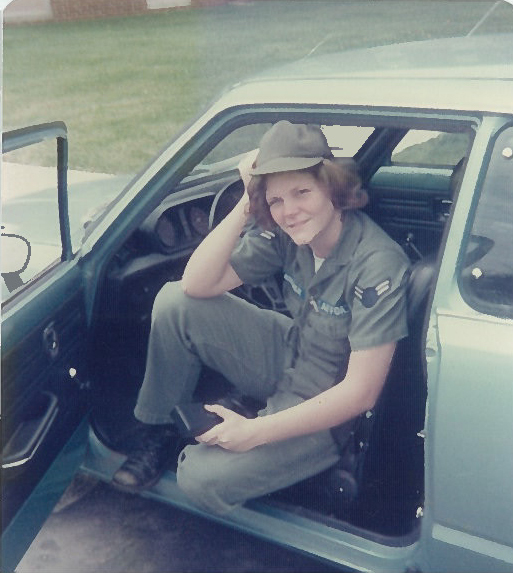 This was one of many positions that the Air Force had recently opened up to women and I was the first woman at McConnell Air Force Base, one of only three Titan missile bases, to work on the radar systems that surrounded the missile silo doors and escape hatches. While still working for the large corporation, economic conditions were such that layoffs were imminent. 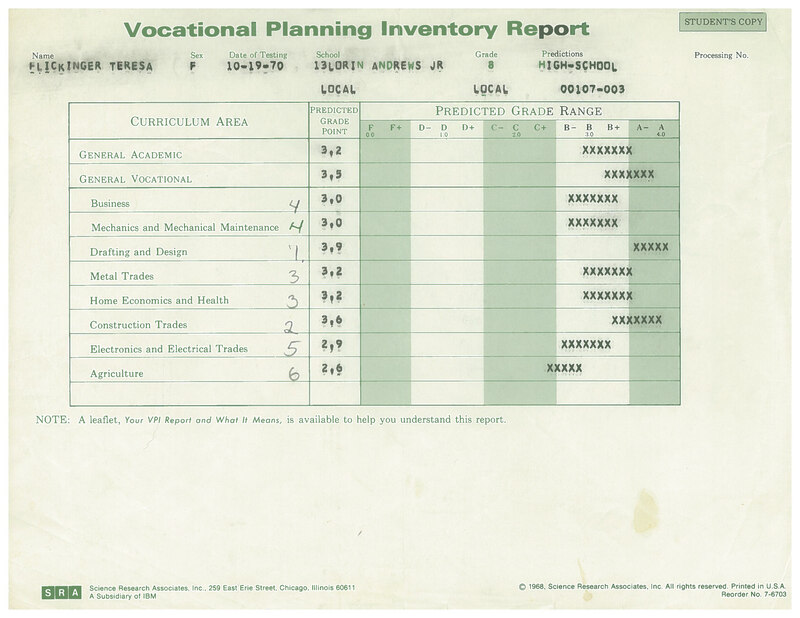 I knew the position I held at the time was tenuous so I began planning what I’d do when I received notice of my lay off. I talked to a guidance counselor at the university where I was taking night school classes and he arranged for me to take a computerized career assessment. No matter how I answered the questions, architect and civil engineer always popped up on the list of results. Within a year I was enrolled full-time at the University of Akron, majoring in civil engineering. Throughout my varied careers, I have strived to do my best as I take pride in my work and seek to demonstrate that a woman can do the job. I also wanted to make situations easier for the women who followed me – to ensure that there wasn’t hesitancy in hiring another qualified women. In addition, I have encouraged young women to consider a career in engineering, particularly through Environmental Design Group’s involvement with The University of Akron’s Women in Engineering’s summer camp programs. With women making up nearly 51% of the population in the United States, it is disappointing that there are not more women in the field of engineering. According to the Society of Women Engineers (SWE), women make up more than 20 percent of engineering school graduates, but only 11 percent of practicing engineers. In a recent survey conducted by the American Psychological Association, data revealed that nearly 40 percent of women who earn engineering degrees quit the profession or never enter the field at all. At Environmental Design Group, women make up more than 30 percent of the engineering work force and our experience is vast! Our talents include designing roads, traffic signals, complete streets, and infrastructure for site developments. We work on trails and park facilities, and green infrastructure including regional storm water management facilities and a wide variety of water quality systems, as well as stream restoration and remediation projects. We also perform traffic studies, environmental assessments, and construction inspection. All of these projects provide safety, environmental, social and economic benefits to our surrounding communities. I believe that to be successful, you have to be yourself. I have found that people respond to the level of professionalism you show, and despite being a minority in my field, I’m continuing to pave my way in the industry. While I am a woman from the baby boom era, I chose a field that wasn’t the “norm” for women, and I have made a great profession out of it. Engineering is not just a man’s profession. It’s a people’s profession, and I’m a living example of how anyone can make it when you’re dedicated and passionate.